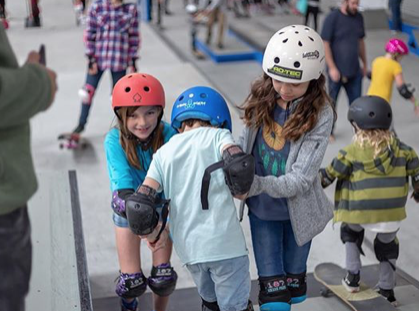 Skate Rising avoided the threat of rain thanks to the generosity of CA Training Facility in Vista, CA. I’m so bummed that I had to miss it and I’m grateful for the wonderful photos from Mike Moore which capture the joy that all the participants had. 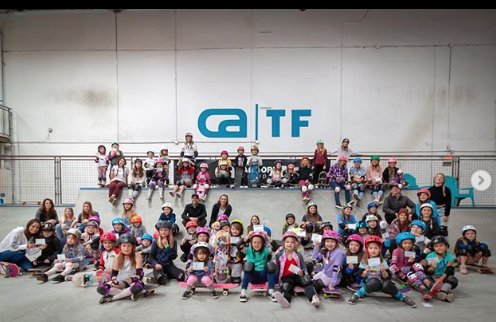 In addition to skateboarding and helping each other skate the girls learned about resilience and donated baby items for the Door of Faith orphanage in Baja Mexico. What is resilience? It’s the ability to recover quickly from difficulties which is critical to accomplishing your goals. Everyone encounters set backs and then has the choice to let the set back stop them or find a way to continue. 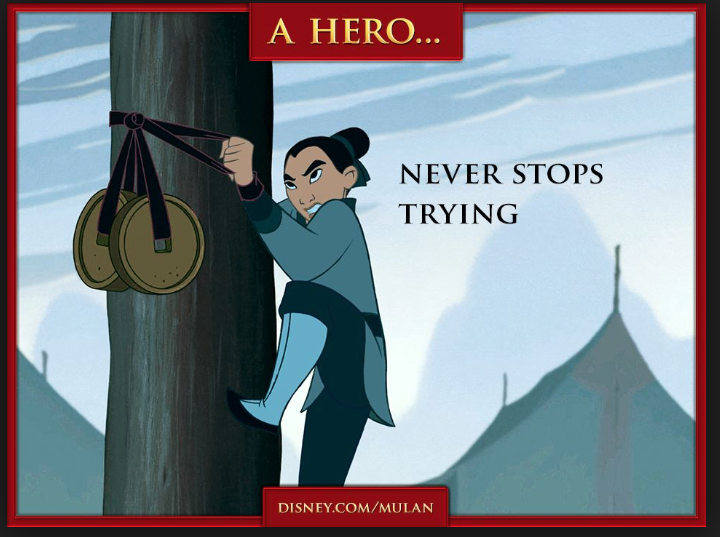 For Mulan it was figuring out how to use the weights to pull herself up the pole, how have you shown resilience? As skateboarders we practice resilience every time we fall and get back up. 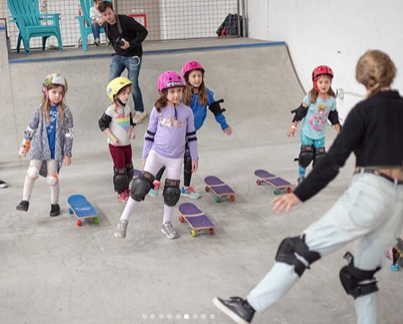 More girls skate when they see girls having fun skateboarding and all people are inspired when they learn how people demonstrated resiliency, so I hope you share soon. Previous PostWhat Happened to the SkateXS Board that Flat Stanley Built?Next PostWhere are you Skateboarding & What’s Your Skate Style?